It's been six weeks since my last WIBLR post and in that time I've consumed quite a lot of popular (and not so popular) culture. I've continued to watch Archer and Twin Peaks. Twin Peaks is continually blowing me away, I'm loving it more and more with every episode. I'm almost caught up with My Favorite Murder (mentioned in the second WIBLR post ) which is crazy because I've been listening to it since the middle of May, so that's over 100 episodes in the past almost 3 months. I don't know what I'm gonna do once I've caught up and have to wait every week for an episode. Binge consuming of culture has ruined me! First up is a film I had really been looking forward to, Spider-Man: Homecoming. I was mostly looking forward to it because I've never been crazy about the other Spider-Man incarnations. Honestly I just wasn't a fan of Tobey Maguire as Spider-Man and I don't think I even saw the Andrew Garfield one. My favourite Spider-Man was probably the nineties animated series which I loved as a kid. After Tom Holland's cameo in Captain America: Civil War I was excited to see him in his own Spider-Man film. The reunion of one of my favourite on screen couples Marisa Tomei and Robert Downey Jr. may have also had something to do with my excitement. I really loved this film. It was fun and entertaining and hilarious and the casting was spot on. I've been loving Michael Keaton's return the big screen too. A lot of it was filmed it Queens which was an added bonus because we recognised some of the locations. Since having been in New York I get so excited every time I watch something that's been filmed there. I like the light-heartedness that this film has in comparison with the other Spider-Man films, it doesn't take itself too seriously which is exactly what I want from a superhero movie. My only gripe is that Marisa Tomei wasn't in it enough for me. 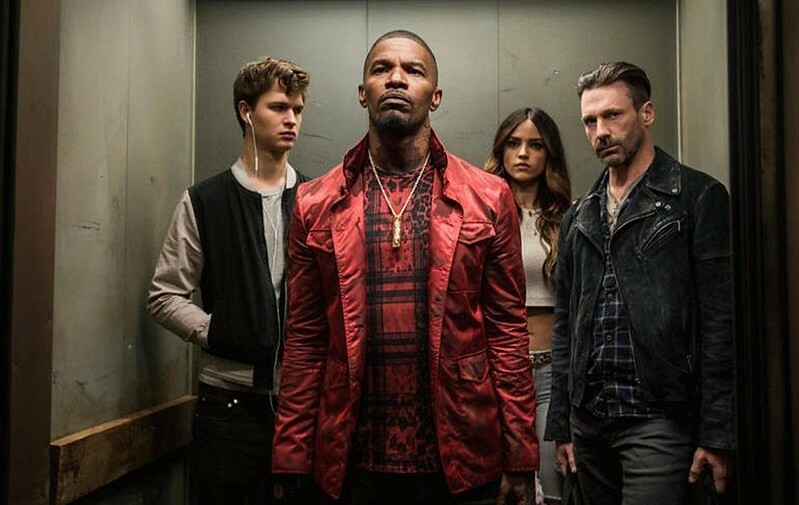 I saw one of the early trailers for Baby Driver without knowing it was an Edgar Wright film and my initial thought was "what the hell is this?". I didn't think the trailer did it any favours and I definitely wouldn't have been convinced to go see it by watching the trailer if I didn't know who directed it. I'm a huge fan of Edgar Wright so when I saw this was one of his films I was a lot more excited to see it than I had been initially (also, two words: Jon Hamm). I was really surprised by how much I liked this. Ansel Elgort is amazing in it. I found the performances by the supporting cast to be a bit tongue in cheek which I'm sure was intentional. The soundtrack was particularly incredible as it is with the other Edgar Wright films. There's also some romance and a lot of humour. I'd highly recommend seeing this if you get a chance. I was very excited to see The Beguiled, mostly because it was directed by Sofia Coppola who directed one of my favourite films, Lost in Translation. I loved The Virgin Suicides, Marie Antoinette and Somewhere too, The Bling Ring left me disappointed but I'm always interested in seeing her work. The Beguiled is a (sort of) remake of the 1971 Clint Eastwood film of the same name based on the book A Painted Devil by Thomas Cullinan. 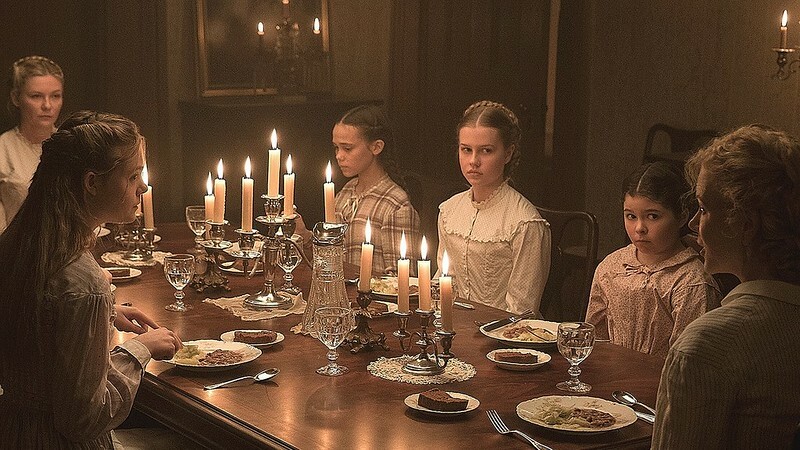 I'm not going to go to much into the plot for anyone who doesn't know what it's about, but in short it's set in a girl's boarding school in Virginia during the Civil War. One of the girls finds a wounded solider and brings him back to the school to recover and his presence stirs up the relationships between the teachers and students. I still don't really know how I felt about this film. It's beautifully shot, as is the case with all Coppola's films. The performances were excellent, although as much as I love Colin Farrell as an actor I always laugh when he has his own Irish accent in his films. I feel like it lacked something for me, I read some reviews of it that said it cut out some of the back story to the characters and one significant character from the book and 1971 film and I'm not sure if that was a bad choice. It's definitely an interesting plot as it is, seeing how the introduction of a man into the home of a group of women instantly affects them all in different ways, but I did feel there wasn't the character development there that happens with adaptations sometimes. If you're a Sofia fan, you'll definitely enjoy this, but I didn't love it the way I did her other films. If you get the chance, try to see Dunkirk in IMAX. The sound design of the film is such an important part of it and the IMAX really immerses you in it, as much as a film can because thankfully most of us will never know what it feels like to be apart of such horrifying circumstances. Again, Christopher Nolan is a director who I have loved for years. The first film I saw of his was Memento and then Insomnia and ever since I've looked forward to seeing each film he has directed. Dunkirk was no exception and I was very interested to see what way he was going to handle a film about World War II. I really enjoyed the film, like I said the sound design is incredible as is the cinematography and the performances. I like the way it was split into land, sea and air and you got a glimpse of each perspective. Some characters were more well developed than others. The men from the sea portion of the film had the most development, the pilots were pretty straight forward and group of young guys who were trying to get off the beach were somewhere in between. I don't know whether it's just me expecting a more human element to the story rather than straightforward almost documentary like storytelling of the events. But there was something lacking for me. 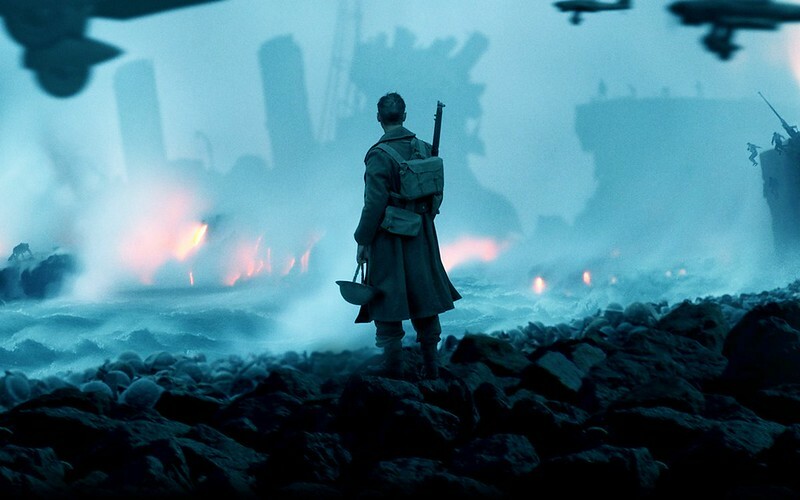 I appreciate that Nolan wanted show the events of Dunkirk from several different perspectives in such a short space of time and therefore its difficult to go into much depth with any one character. But then it is a film about the war and if you're not going to choose to depict a specific story, then you have to just let it be about the events in order to honour the people who went through it. Shamefully, I didn't know much about what happened at Dunkirk so it's great that a film like this can remind us all that what happened wasn't all that long ago, especially with what's going on in the world at the moment, we can never remind ourselves too often of the lessons history has taught us and that sadly that fight is still going on for so many people around the world today. We all have our part to play in making sure nothing like World War II ever happens again. I was looking forward to seeing The Big Sick since I first heard about it. I've been a big fan of Kumail Nanjiani for years, he's been in lots of my favourite comedy shows and most recently Silicon Valley which I wrote about here. I knew the story of how he and his wife Emily got together and the very unusual situation that came about when they were first dating. I won't spoil what happens because if you don't know the story yet I don't want to ruin it for anyone but basically himself and Emily wrote the film based on their relationship and the difficulties of coming from two different cultures. I really really loved this film, the cast is so good, Holly Hunter and Ray Romano play Emily's parents and they really stole the show for me. The adorable Zoe Kazan plays Emily and Kumail plays himself. It's hilarious and heartbreaking and a very unromantic, romantic comedy. Glow is a Netflix original series about female wrestling in 1980s Los Angeles. It was created by the women who made Weeds and Orange is the New Black so it has the same dark humour as both of those shows. I was a huge fan of Weeds, but I never actually finished it because I thought it was starting to go downhill however the first few seasons are excellent. Glow is probably my least favourite of the three shows. I really like the cast, Kate Nash, the British singer is in it which I found very strange but she's actually really good. I loved Debbie and some of the other characters more than the main character Ruth, played by Alison Brie and Marc Maron who is a great comedian that I've loved for years now. It's fairly light-hearted and easy viewing that doesn't demand much from the audience which is just what you need sometimes. If you're a fan of OITNB you'll enjoy this, but I don't think it's as good. 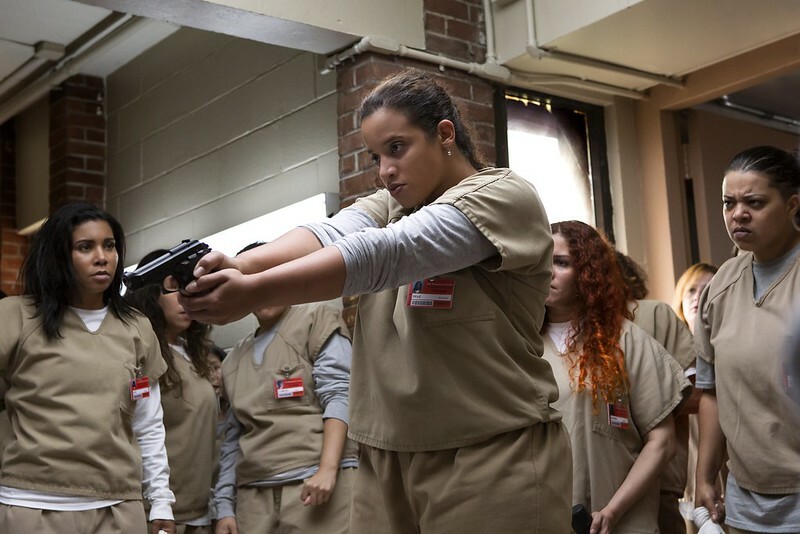 Orange is the New Black is now in its fifth season and it's still going strong. I put off starting this most recent season for a while because there were a few other things I wanted to finish watching first. I wasn't overly excited to watch it if I'm honest, but once we watched the first episode I think we finished it in a week. I was really impressed with this season, I loved that they did something a bit different and we got to see the characters in different situations to their normal everyday prison life. I also like how they addressed social issues that mirror what's going on in the world at the moment. There is a lot of humour too, some of my favourite parts were the prison guard talent show and Flaca and Maritza's YouTube channel (I'd definitely subscribe to that). But like I said above, there is a lot of darkness in this show too. I think this was my favourite season yet and it's one of those shows where the writing and cast are so good that there is still so much they can do with it without it going stale. I really hope next season is just as good and if you haven't watched it yet, you've got five seasons to binge watch! Friends From College is something I came across one night when I was doing my usual browsing through Netflix for an hour before actually choosing something to watch. I watched the trailer and I was intrigued because I hadn't heard anything about it but it was new to Netflix and has some of my favourite comedians in it- Billy Eichner and Keegan-Michael Key as well as Cobie Smulders from How I Met Your Mother and Fred Savage (yes, from The Wonder Years). It was created by Nicholas Stoller who made Forgetting Sarah Marshall, Get Him to the Greek, The Five Year Engagement and Bad Neighbours and it's the same kind of humour as those films. The premise is pretty simple, a group of friends from college get back in touch with each other and chaos ensues. It's a very straight forward comedy/drama that's very easy to watch. I enjoyed it a lot more than I thought I would, it's a great one for rainy days like today when you want to watch something easy and entertaining. So those are my favourites from the past month. I'm currently watching Ozark and Wet Hot American Summer TenYears Later on Netflix so I'll give you my thoughts on those in the next post. I saw Fleet Foxes live which was amazing and I'm still loving their new album. I also saw Michael Ian Black do a set at the Vodafone Comedy Festival which was so cool. I've listened to the new Arcade Fire album a few times too and I'm not crazy about it so far which is disappointing because we got tickets to see them next year. Have you seen any of these? What have you been watching/listening to recently?